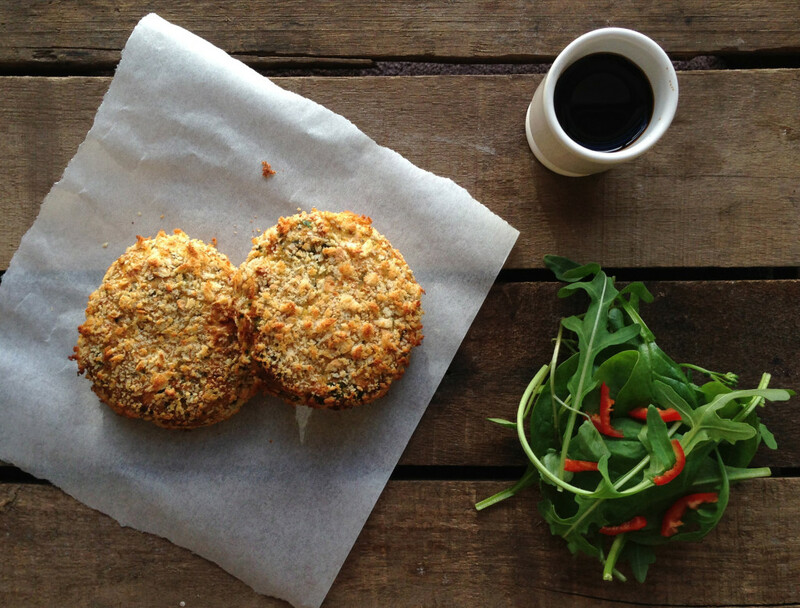 I really enjoy using smoked salmon fillets within these fish cakes, and I think it’s something that’s not done enough. If you’d prefer to use non-smoked fish then feel free to do so. A great thing about making these fish cakes is that you can easily make more than you need and just stick them in the freezer to be used at a later date. They still taste great when you reheat them so just make sure that you defrost them thoroughly first. I’m actually having a couple of these for my lunch today (greedy). If you’re looking for something to serve with these then you’re spoilt for choice. If you’re just having them as a light snack then you can just mock up a small side salad to go with, however, if you’re looking for something a little more substantial then you could make some creamy coconut rice. Preheat the oven at 200 degrees Celsius / 392 degrees Fahrenheit / Gas mark 5. Peel your potatoes, rinse them in cold water and chop them into 1cm cubes. Half fill a small saucepan with boiling water and add a pinch of salt. Bring the water to the boil and then add the cubes of potato. Boil for around 2 minutes, then drain them and put them to one side. Meanwhile, add the coriander, garlic, chilli, ginger, smoked salmon (chop the fillets into smaller pieces first), soy sauce and half the breadcrumbs. Now whizz everything together for a 30-40 seconds. Now add in the juice of your lemon along with the zest. Whizz it together for another 5-10 seconds and you're now ready to start shaping them into patties. Shape out the mixture evenly into patties. I like to make the fish cakes around 7cm in diameter but you can make them however small/large you like (you may just need to adjust the cooking time accordingly). Once you've done this, lightly coat the fish cakes with the yolk of your egg (if you've made a larger quantity of mixture then you may need more eggs). 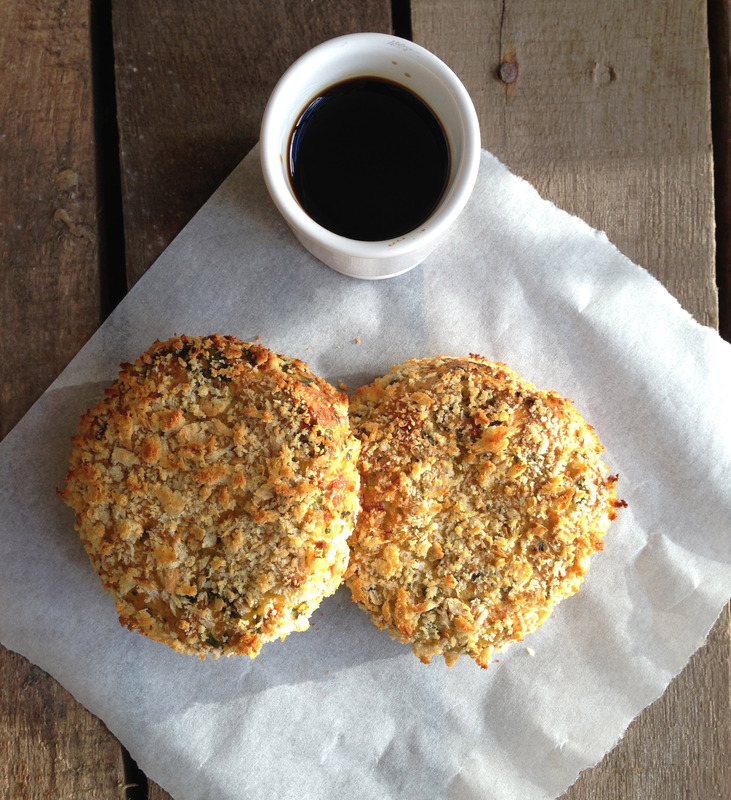 Now, pour over and coat the fish cakes on both sides with the remainder of your breadcrumbs. 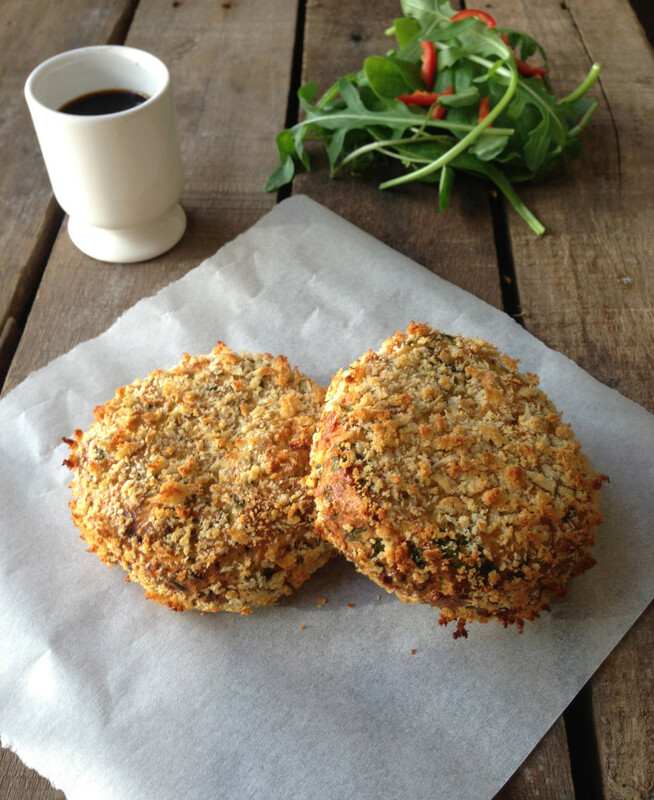 Place the fish cakes on a baking tray, preferably with a sheet of baking paper underneath to stop them sticking. Cook for 15-20 minutes or until the breadcrumbs have went a nice golden colour. Just check that the cakes are completely cooked through by sticking a knife in the middle to check that they're piping hot all the way through. First. Thank you for the recipes. My wife and I are enjoying a lot your work. Another thing. I think you forget to say what to do with the potatoes. I undeestand it must be mixed with the anothers ingredients to make the patties, isn’t it? I do not see what you do with the potatoes after you cook them and set them aside! Call me crazy!